Auto-Optimization Charging: Continous charging once back in the sun. Ultra-Thin, Lightweight, Water-Resistant, Overcharge Protection. High efficient monocrystalline solar cells. Included carabiners and suction cups for easy attachment. With 10 watts in this durable and portable panel, you will never have to worry about a dead battery! Perfect for on-the-go activities, this lightweight panel is sure to give you power right when you need it. The Renogy E.FLEX10 includes two carabiners that can easily attach your panel to a backpack while hiking and four suction cups for easy mounting on vehicle windows. The built-in monocrystalline solar cells give maximum efficiency and the new auto-optimization charging feature allows for a continuous charge the moment you're back in the sun! Don't be left without power! This ultra-thin panel is sure to charge any USB device. This Item is making the difference in our delivery of clinical care on Puerto Rico Hurricane striken areas where there is no electric power for the past 9 month, this Portable solar panels are the only source of energy for the power starved clinical and communication equipment in constant use in this still devastated areas. We thank Renogy Staff for the support and excellent quality of professionals and equipments they delivered. Got this for camping; light weight yet sturdy. It recharged a completely dead cell phone in about 3 hours (under a leafless tree) and it recharged a blue-tooth speaker in about 2 hours. My teenage son is impressed that the old man is a step ahead in the technology department (first time). good product......I use to charge my cell-phone and a speaker box. Waiting for an assortment of adapters I ordered Ebay so that I can charge more items. 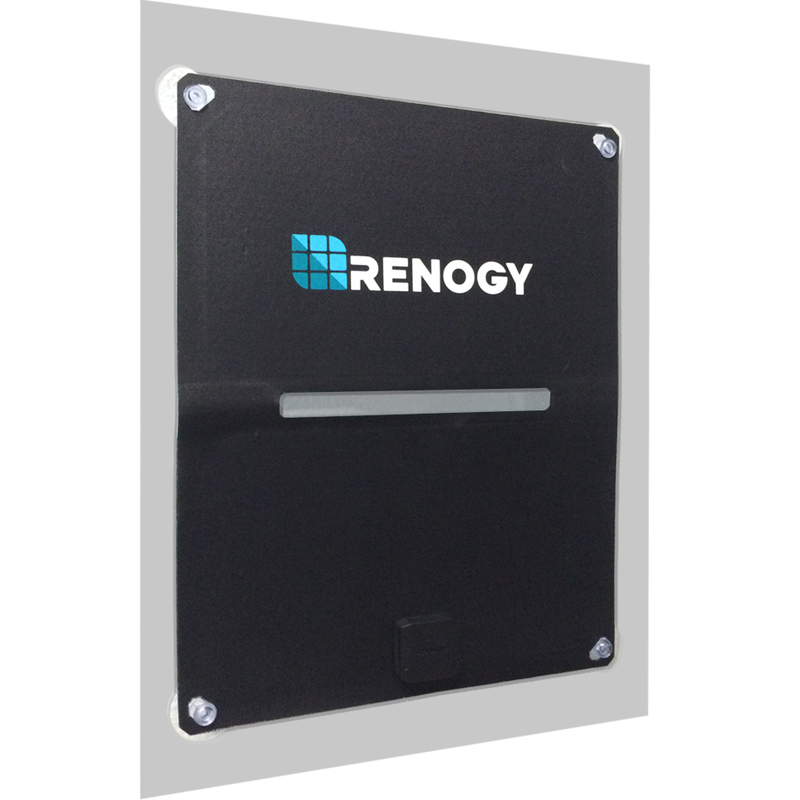 Thank you Renogy for excellent products.